For my 26th birthday, I wanted to do something different. I’d always been a spiritual person and followed my own path for most of my life. It was January 19, 2006. 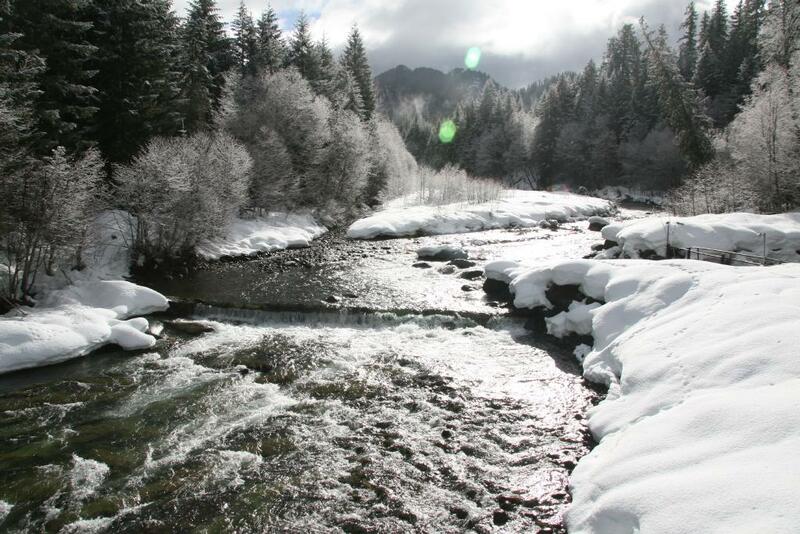 A group of my closest friends and I drove from Portland, Oregon to Breitenbush Hot Springs. 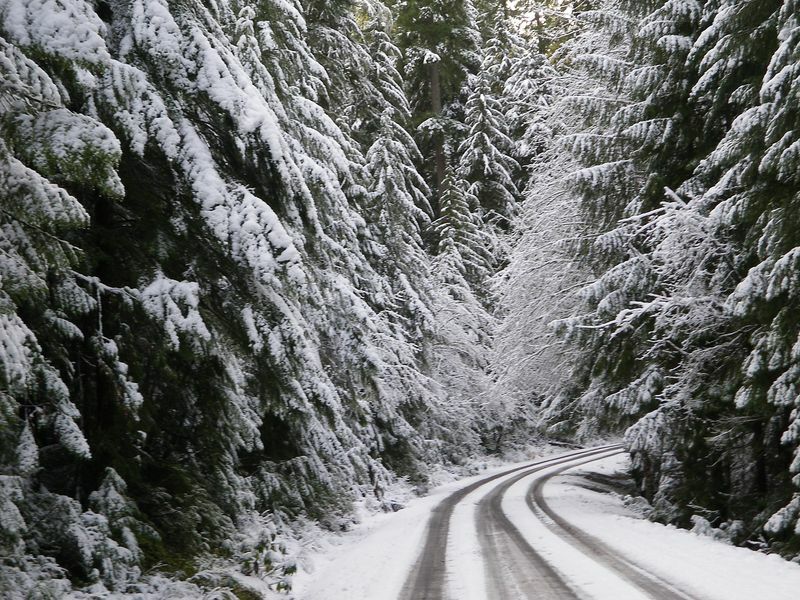 The drive was scenic; after turning off the main highway, we drove through old growth forests that still had hills of snow on the sides of the road. The road trip was enjoyable and the camaraderie made me happy. I felt lucky to have my best friends with me for this birthday experience. 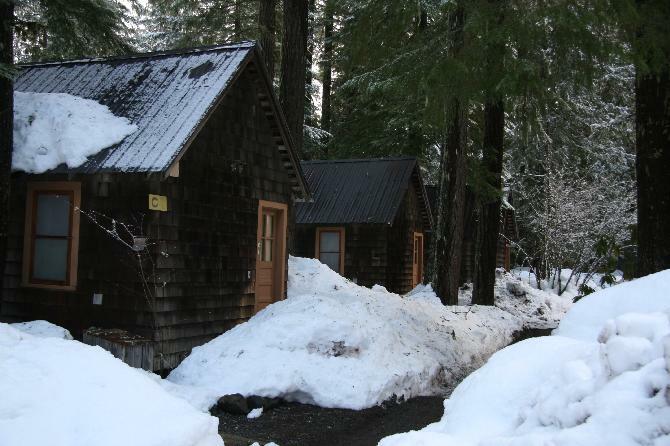 Breitenbush has cabins for retreats and vacation lodging. 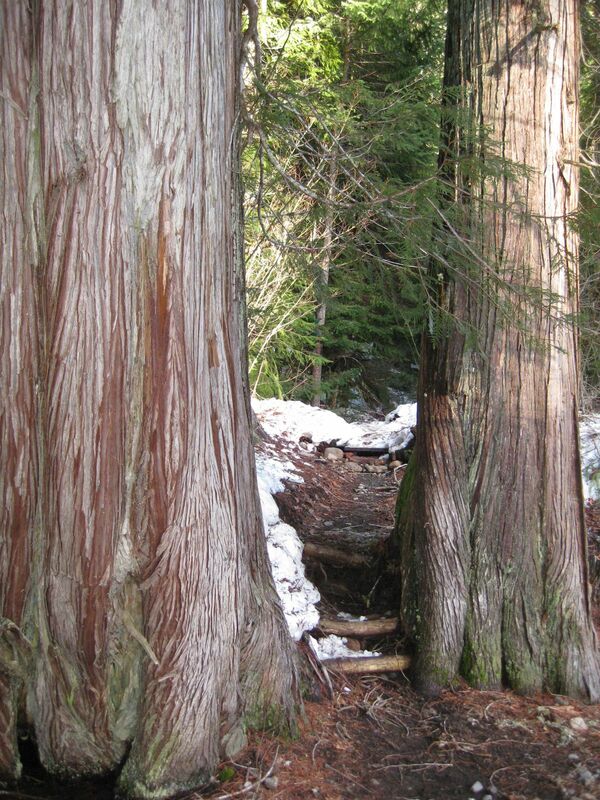 There’s workshops, hot springs, and hiking through cedar trees. 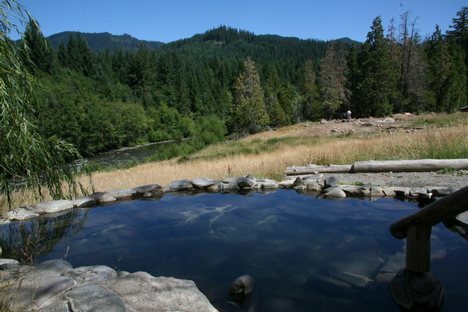 Breitenbush Hot Springs offers monthly sweat lodges. 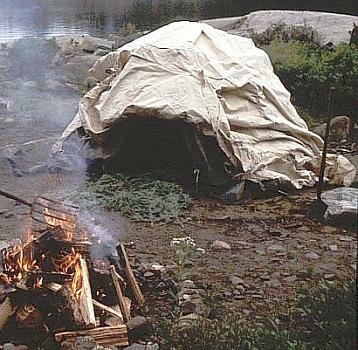 A sweat lodge is a Native American tradition. There are several different types of sweat lodges. 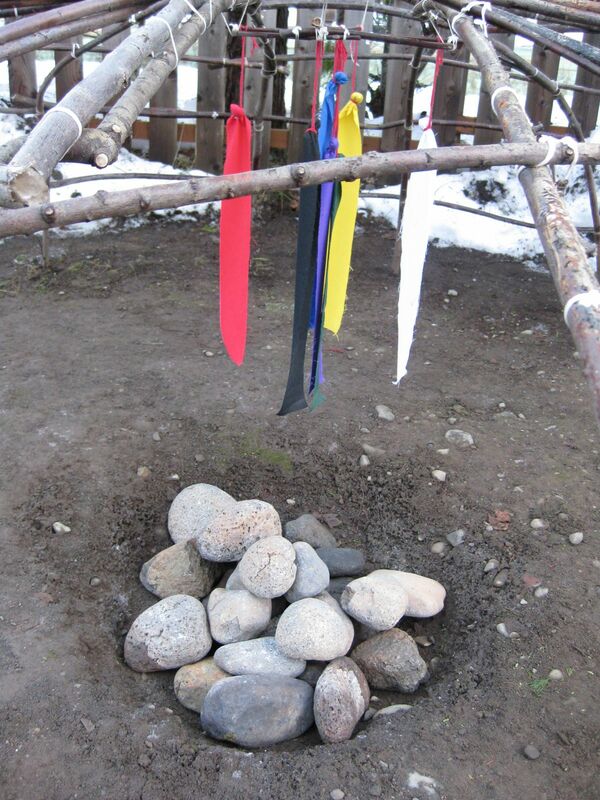 The purpose of the sweat lodge can change according to the traditions. Sometimes the sweat lodge is spiritual; sometimes it’s for mental or physical healing. Most of all, it’s a time to communicate with spirits to ask for guidance. These spirits could be ancestors, loved ones, totem animals, or simply a voice heard from the beyond. Or from within, if you don’t believe in a higher power. 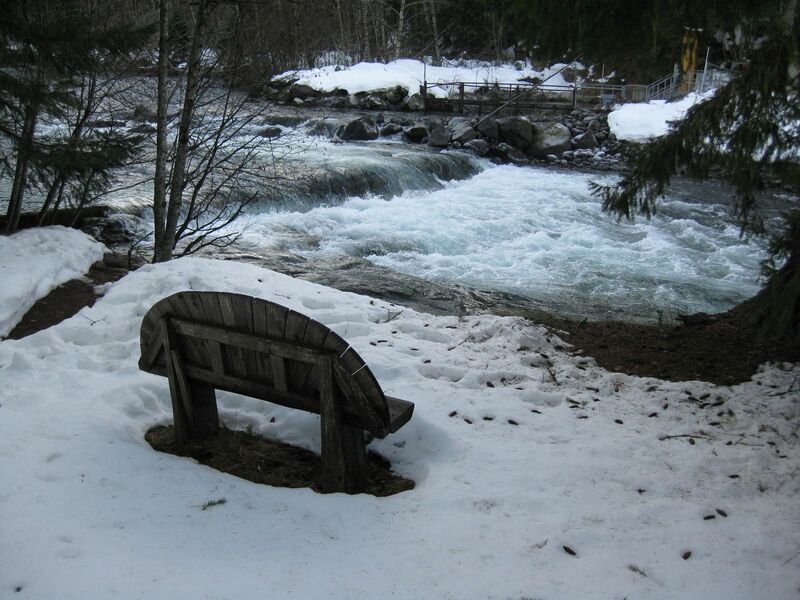 Our group was gathered next to a fast, freezing river. There was a large fire pit with huge stones glowing among the flames. We had to walk through the snow to get there. Since it was our first time doing this, no one really came properly prepared. The leader of the sweat lodge explained to everyone the process, the history, and etiquette. In preparation, we were told not to drink any fluids or eat food for several hours leading up to the lodge. We were asked to bring gifts for the leader. The participants placed on the altar next to the main fire things like bird feathers, incense and tobacco. The lodge was a low, domed house constructed with a wood frame and heavy fabric or blankets covering it. In the center of the lodge, a large pit was dug and there was room for people to sit around the pit. The door in and out was a flap facing the fire pit outside. In the past, the dome was covered in hides of animals such as buffalo or bear. These blankets or covers contain the steam within the dome to work its magic. No jewelry is allowed. I wore shorts and a tank top, knowing I’d be very hot within the lodge. Since it was my first lodge, I did not bring something to sit on (like an extra towel) like more experienced people brought. The leader said a prayer and smudged us with sage to cleanse us before we silently crawled into the sweat lodge in a sun wise direction (clockwise). We sat on the cold, moist dirt ground, sitting cross-legged against the walls of the dome. There was nothing to support our backs. Anyone who could not tolerate the lodge was allowed to leave at any time. There was short silence while everyone got centered. The leader said a prayer. His helper that tended the outside fire brought in a glowing stone with a shovel and put it in the center of our pit, closed the flap, and left. The leader would sprinkle herbs on the stone, say prayers, and then sprinkle blessed water onto the stone. Steam would rise off the stone and fill the dome. We did this for several hours while we shared stories, prayers and asked our spirits for guidance on issues. According to legend, the stones have spirits living in them and are awakened when hot. It was never really smoky. The steam was intense and the aroma of herbs and incense was sometimes overpowering, but lovely at the same time. 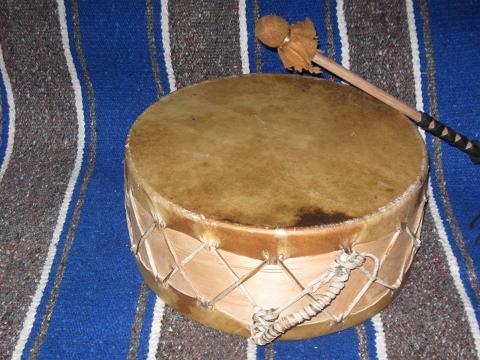 The leader drummed, called the spirit guides. As the temperature rose, we each grew closer to opening our senses and hearts. Our minds cleared and we were receptive to messages from the beyond. 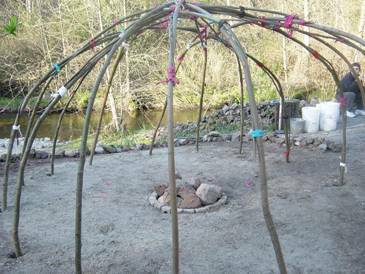 A sweat lodge is typically four “doors”. This means that the door is open four times to add more stones from the main fire. Each section of the lodge lasted anywhere from 30 minutes to an hour. The purpose of the sweat lodge is to meditate, pray, heal, learn something about ourselves, and focus on what needs to be done. I had a vague wish for the sweat lodge. I had to put it into words and share with the rest of the people within the dome. We went around the circle and the other women shared their feelings and desires with everyone in the lodge, spirits included. They told short stories about loved ones that had passed and they wanted guidance from them; a woman was healing from breast cancer and was looking for healing. Most of the participants let the tears flow freely as they prayed. One woman wailed like she was in pain. It was heartfelt and powerful. I was inspired by her. I don’t remember anyone else’s desire or prayer after me. I felt overwhelmed with emotions and energy. My mind clouded and cleared at the same time. And that’s when I heard the voice. I don’t know who or what that voice was. Was it the voice of my grandfather? Or some other ancestor that’s been watching down on me? Was it my own subconscious telling me I was unhealthy in my life? I will never know. But I took that message with me on my journey. Stumbling through the snow back to the car, in the dark, with a headache and feelings of confusion…I didn’t know what to make of that message. It took a few months after that experience to really allow the message to become prominent in my head. My first task was to get off the antidepressants I’d been taking for a very long time. That contributed to the weight gain. That was an immense task within it’s self. I knew it would take a long time as well. I’d been on so many medications for so long; it took about six months to taper off the medications. The last three months were miserable. I went through painful, nauseating physical withdrawals every day. Not only that, I was so obese and stressed from other things happening in my life I developed high blood pressure and had dizzy spells that sent me reeling. It was not a pleasant time in my life. But life changing events are rarely pleasant. QUESTION: What was your Wake Up Call? Wow – that is an amazing story. It’s too bad that sweat lodges have gotten such a bad rap. I’m not sure I’ve ever had a wake-up call – I’ve think I’ve had many little ones rather than one really big one. I didn’t have a bad a experience. I think if done right it’s safe. I love the landscape in the pics. So peaceful. I don’t know if it would be considered a wake up call but I finally decided to change my ways and get healthy after watching an episode of Biggest Loser online. I had never seen the show but watching the transformations and the weigh ins had me in tears. I cried and cried because I finally woke up and realized how far I had let myself go and what I was capable of doing. I started making changes immediately. There have been ups and downs but I will never give up. Congratulations on your success. New to your blog but I’ve enjoyed becoming acquainted with your journey. What a great story Kelly! I too have cried my heart out for the transformations on BL. It is a hard process. Can I ask which meds you are taking? Right now just one to manage anxiety as needed. Maybe twice a week. This is so interesting. Who led the sweat? I’m not sure. It was a long time ago.